The following is a beautiful, yet simple, woodworking plan from the fine folks at Minwax.com, makers of Thompson’s Waterseal. The plans well laid out and include items that speed a wood project. There is a material shopping list along with a cutting list. A woodworker looking for speed will appreciate both lists. One of the items on the list is a 2″ deck screw. I would strongly recommend changing that out to a 2″ stainless steel deck screw. You will find that they are much more expensive (relatively speaking) but the galvanized screws will react with the lumber. Especially if you use cedar as suggested. 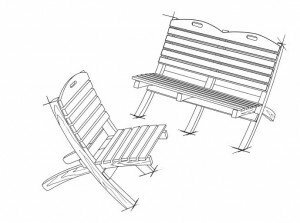 Click on the picture of the chair and bench (above) to download the full set of plans for the garden chair and bench. 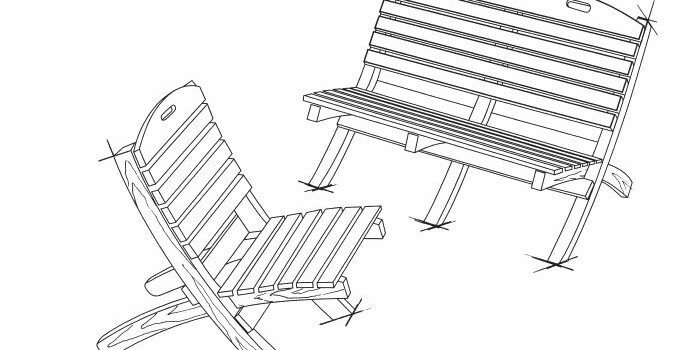 This is a stylish, and compact, addition to any back yard, deck, or garden. Good luck and feel free to contact us with project images.